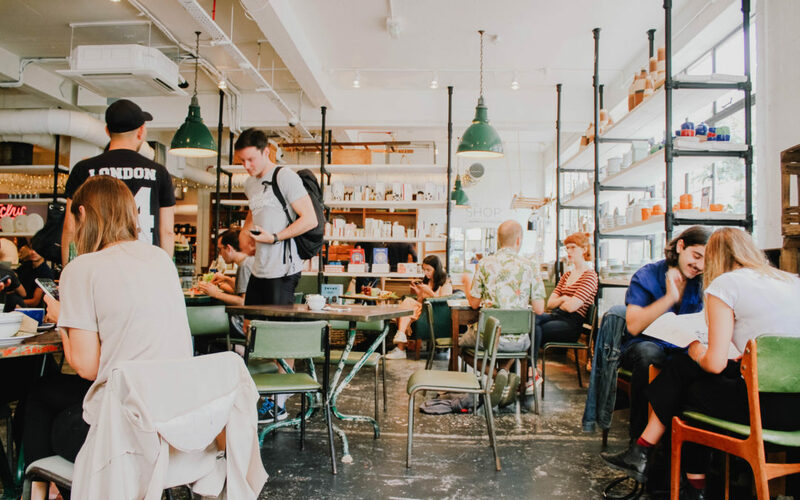 If, like me, you used to be that person who got super annoyed at people who work in coffee shops… but now, you find you are one of those people, you may just be the perfect candidate for AgentNow. We of the coffee shop office clan. We spread our laptops all over the place, hog up space because we need to be near an outlet. Sip the same cup of our favorite foo foo coffee for hours. In the old days we were charged for Wifi, or shooed out by time limits on usage trying to ensure the table could can be turned over several times. to bring the coffee shop more money. Now, its like we’ve won a small, undeclared battle. We wore down the establishments. So they just up the prices and smile at us, as we cluster unashamedly in groups of ones twos and threes on chairs, stools and couches. And we meet our friends and clients inside the shops and outside on the sidewalks. People-watch as we type and slurp and chew our way through another proposal, another call, another meet-up. We are the busy people. The Facebook posting, Linked-in connecting, Instagram swiping, Twitter tweeting, Pinterest pinning people that run modern business. We never read instructions. We just do stuff. And we have rules for how we live and work. Little manifestos that help us gather without guilt, and win over clients without overhead. Take up the smallest space possible. As long as its near and AC outlet. Tip well. Tipping well keeps the baristas from giving us the side-eye glance. Even if they only know our names if they are written on a paper cup. Get in quick when any spot opens. Get the meeting on while keeping it casual. And Get Out… so we can have a life.